A scalloped front is where the lace or skin on a front hair line is cut in a saw-tooth shape—Zigzags. 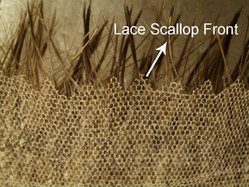 We usually do NOT make scallop on lace material because it makes the lace edge fray more rapidly and can easily rip. 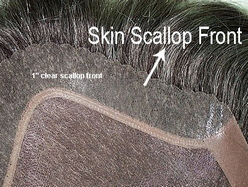 A Scallop front is usually applied to skin material only. 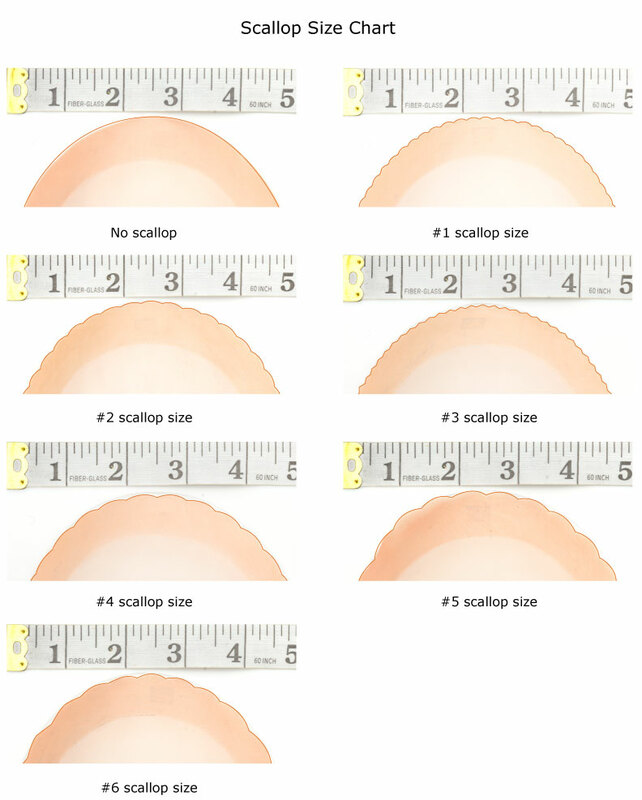 Below are the scallop size options for your reference, you can compare the scale under the sketches and order the proper scallop size for you.